Build and deploy IoT applications faster and easier with FRED. FRED is a cloud hosted Node-RED service, designed to streamline the development of IoT applications. From prototype to production deployment, FRED makes each step as easy as possible, allowing you to focus on the solution, not the tools and platform. Try it out for free. Push your working solution to production. Move on to the next challenge. Sense Tecnic Systems is an IoT software company that helps our customers build and deploy advanced IoT applications. We have deep technical expertise in a range of IoT technologies from hardware through industry standard platforms up-to advanced programming tools such as Node-RED. We are an exceptional technology driven team with deep expertise of the IoT space and proven skills. We will accelerate your development and reduce your costs. We have been helping our customers build and deploy advanced IoT applications since 2010. We have experience with most major IoT platforms and have worked with customers in a range of industries from Precision Agriculture to Building Automation to Smart Cities. 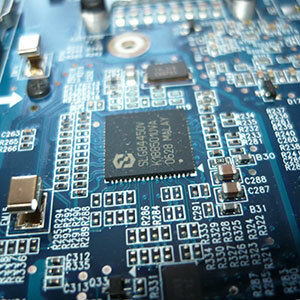 If you need help with the development of an IoT application, we can help - contact us. Sense Tecnic has worked with numerous customers in several key domains such as Precision Agriculture, Smart Cities, Highways Maintenance, Building Management, Wearable Devices and Consumer. Learn more about how we helped solve specific customer problems. The genesis of the company lies in its research roots at the University of British Columbia where co-founders Mike Blackstock and Rodger Lea have been developing advanced distributed systems for a number of years. Original work on pervasive and ubiquitous systems research led to an early real world sensing platform in 2006. This platform evolved through a number of iterations as the research explored participatory sensing, real time connected devices – or things – and eventually the Internet of Things. In 2010, with the core research ideas established, the founders created Sense Tecnic Systems Inc. with a goal of building a high performance, flexible IoT platform aimed at IoT apps and services. We just hit 10,000 users registered on the Sense Tecnic FRED platform! 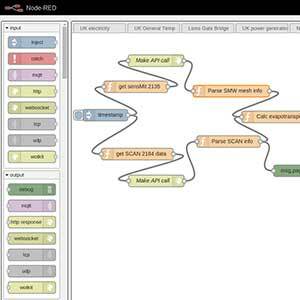 @NodeRED https://t.co/lGvnt2lKgR try cloud-hosted Node-RED for free.